Having a comprehensive estate plan in place is one of the most important things you can do to protect and provide for your family in the event of your death or incapacity. An estate plan typically should include a will as well as documents designed to address incapacity during your lifetime such as powers of attorney (both for health care decisions and for financial decisions) in addition to advance medical directives. More complex estates may also call for the use of one or more trusts. 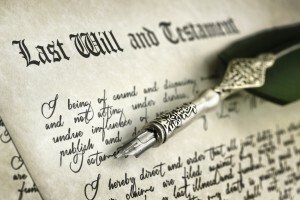 Your will is the bedrock of a well-rounded estate plan. This important document contains instructions for how your property should be distributed after you pass away. If you have minor children, this is also the document in which you will name a guardian for your children. Wills often also contain language creating testamentary trusts to hold property for your children if you pass away while they are still minors. Additionally, your will contains the designation of a person (or sometimes an institution such as a bank) to be the executor of your estate. Naming an executor requires careful consideration because the executor will be given the power to handle estate affairs, including paying any estate debts and distributing property according to the provisions of your will. The power of attorney for healthcare (also called the medical power of attorney) is a document that comes into effect if, and only if, you become incapacitated. This document gives an agent named by you the power to articulate medical decisions on your behalf if you are unable to do so for yourself. Note, however, that if you are able to communicate your decisions to others, the agent cannot contradict your instructions. Furthermore, the medical power of attorney does not give the agent the power to make life-or-death decisions, such as the power to instruct health-care providers to remove you from life support (this is done with a living will) or to give a do-not-resuscitate (DNR) order. The statutory power of attorney (also sometimes called the “durable power of attorney” or simply “power of attorney”) is a very important document that gives an agent designated by you the power to make certain non-medical decisions for you while you are living. This power of attorney can include the power to authorize financial and/or real property transactions—basically any important decision other than healthcare-related decisions. Unlike the medical power of attorney, a statutory durable power of attorney can be drafted to become effective upon execution—that is, it does not require that you be incapacitated before your agent can act on your behalf. This can be very useful if you need someone to authorize a real estate transaction while you are out-of-town on business, for example. This type of power of attorney can be especially important if you ever do become incapacitated and unable to make decisions for yourself. In some cases, a durable power or attorney, often in conjunction with a medical power of attorney, can be a less-restrictive (and significantly less-expensive) alternative to guardianship over an incapacitated person. As you can see, setting up an estate plan is an important step that requires making many important decisions. These decisions should be discussed with your loved ones during your lifetime. You will need to ascertain whether the people you are naming as fiduciaries (such as your executor, trustee, and agent under a power of attorney) are comfortable and capable of handling that responsibility. It is tempting to put off making an estate plan because of all of the decisions that must be made. We understand that. Remember that while estate planning is a daunting task, an experienced estate planning attorney can help make the process easy for you. We know it can be unsettling to think about what will happen after you pass away, and we will do everything in our power to help you address all of your concerns so that you can feel comfortable knowing that you have a plan in place to protect your loved ones.